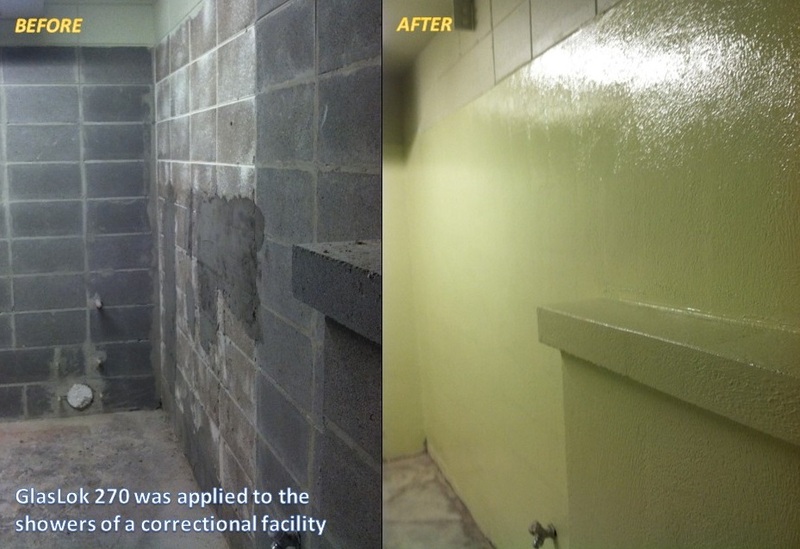 GlasLok 270 – Plexi-Chemie, Inc.
GlasLok 270 is a fiberglass reinforced 100% solids wall coating system for new installations and for the restoration of damaged and abused surfaces, including concrete block, drywall, tile and poured concrete walls. The GlasLok 270 system incorporates glass and other fiber interlocking components designed to replace the traditional fiberglass mat layup system. This allows less time and labor required to complete the application. 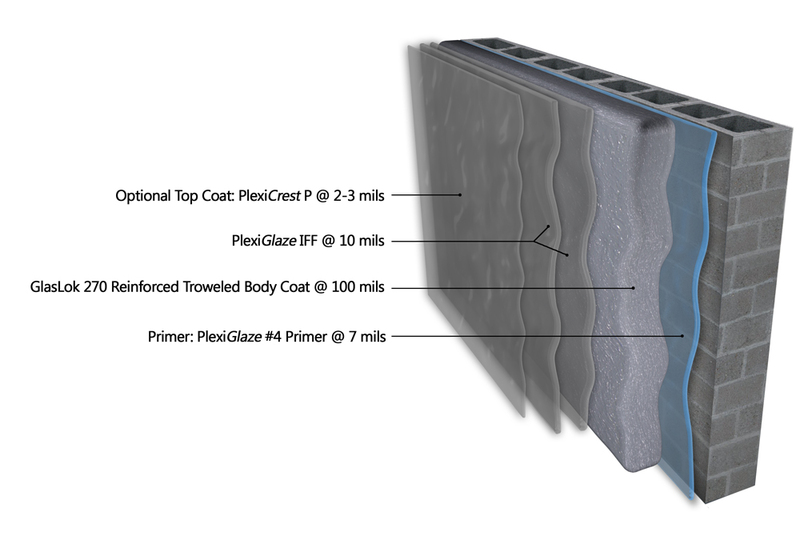 GlasLok 270 eliminates permeability and air pocket failures frequently encountered with glass matte installations. GlasLok 270 is a fiberglass thixotropic coating that is installed with chopped strand. The addition of the glass filler component produces a glass filled system with a suggested thickness range of up to 120 mils or greater. As a rule of thumb, surfaces that are damaged or have the potential for chemical or physical abuse require the GlasLok Fiberglass wall troweled layup system.